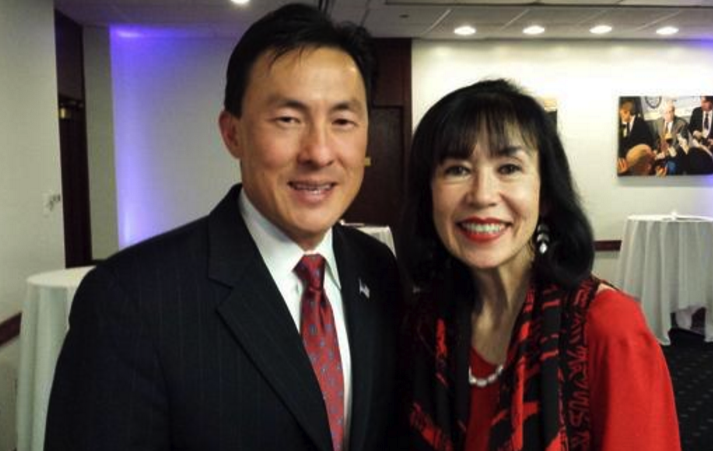 Delegate Mark Keam of Virginia and Karen Korematsu, daughter of Fred Korematsu. FAIRFAX, Va. — Fred T. Korematsu Day of Civil Liberties and the Constitution was celebrated for the first time in Virginia on Jan. 29. Fred Korematsu Day is observed on or around Jan. 30, the civil rights icon’s birthday. He is remembered for his Supreme Court case challenging the constitutionality of the internment of Japanese Americans during World War II. The U.S. Commission on Civil Rights has urged the president and Congress to establish Fred Korematsu Day as a national holiday. Six states – California, Hawaii, Utah, Illinois, Georgia, Virginia – have recognized Korematsu Day by statute, legislative resolution, or proclamation by the governor. Two other states – Michigan and Pennsylvania – have legislatures that have or are considering legislative recognition. Delegate Mark Keam, a Democrat representing the 35st District (Fairfax County) in the Virginia House of Delegates, introduced Korematsu Day legislation last year. A native of Seoul, he is the first Asian-born immigrant to serve in the Virginia General Assembly. “Today, Jan. 30, is the first annual Fred T. Korematsu Day of Civil Liberties and the Constitution in Virginia,” Keam said in a Facebook post. “Today also would have been Mr. Korematsu’s 97th birthday. “To commemorate this historic occasion, we held a great community event in my district in Tysons last night. I want to thank everyone who braved the weather to come out, and especially thank Mary Thexton and Rick Holzheimer of MaguireWoods law firm for hosting us. “My gratitude also goes to Sen. Tim Kaine and his assistant Joe Montano for sending us a wonderful video welcome message. And of course, we could not have had this event without Fred’s daughter, Karen Korematsu, who came out from San Francisco. Mee Moua, executive director of Asian Americans Advancing Justice, was among the special guests in attendance. Last February, the Virginia Senate unanimously adopted House Joint Resolution 641 to designate Jan. 30 of each year, beginning in 2016, as Fred Korematsu Day of Civil Liberties and the Constitution in Virginia. The measure had already passed the House of Delegates in January on a unanimous vote. The idea for the resolution was brought to Keam by Karen Korematsu, who heads the Korematsu Institute (http://korematsuinstitute.org) in San Francisco. The institute works to educate the public about Americans who have suffered from prejudice, discrimination and civil rights injustices. The institute held its sixth annual Korematsu Day celebration on Jan. 30 at the Herbst Theatre in San Francisco. Karen Korematsu also spoke at a Korematsu Day observance in Michigan on Jan. 28 and asked legislators there to make it an official day in the state on an annual basis.